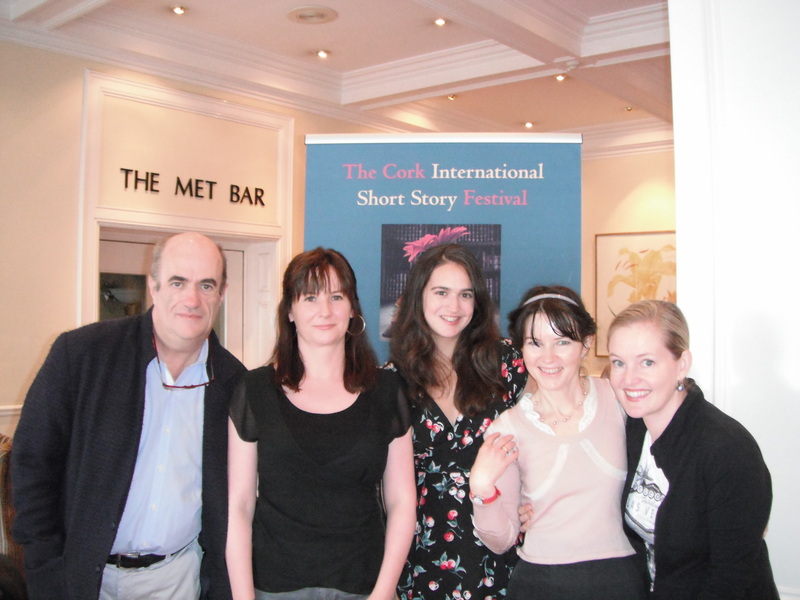 Cork International Short Story Festival. Yes, it was just as incredible as the name implies. Six days, five nights, in Cork, one of Ireland’s golden cities, with hotel, meals, transportation provided for, and most spectacularly of all, drink vouchers (only in Ireland). 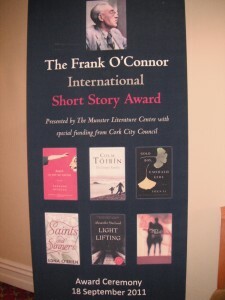 I had been long listed for the hefty Frank O’Connor Prize but didn’t make the short list, so naturally I assumed that I was invited because of my Celtic name (and after having the name mangled by American mouths for three plus decades, it was about time that name gave a little something back). 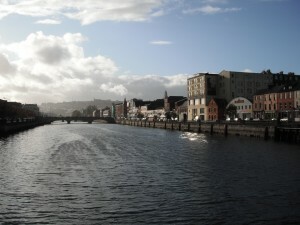 Cork caught between sun and rain. My excitement about this festival surprised me a little bit. Aren’t we writers supposed to be a shy, slightly damaged bunch, spying on all the functioning folk in the world and neurotically scribbling down the details we observe? Aren’t we more comfortable hiding at home with our ink stained fingers or laptops, prone to panic attacks when we have to give a reading or an interview? And yet there is the undeniably social aspect to writing. We write to be read. If we wrote just for ourselves (the way some more ascetic scribes like to claim), then we all would be sitting in padded rooms, dreaming up stories in our own safe little heads, never having to worry about crafting the words on paper, never facing the horrors of rewriting, rejections, bad reviews. These festivals we attend somehow ignite the contradictions of our nature as reclusive-social-animals. All these bookish readers/writers are thrown together and forced to mingle. Once they figure out how to have a conversation with one another, the conversations are bound to be about, glory be, BOOKS! A whole room (or pub) full of people who only want to talk about writing! Throw in those free drink vouchers and I think it’s about as close to heaven as this gal can get. 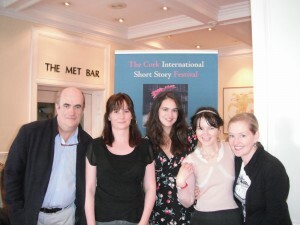 The intimacy of the CISSF was also a nice departure from some of the larger American festivals. CISSF is small (there were a leisurely 24 events during five days, compared to the more frenetic American AWP with over 400 events in the span of four days). 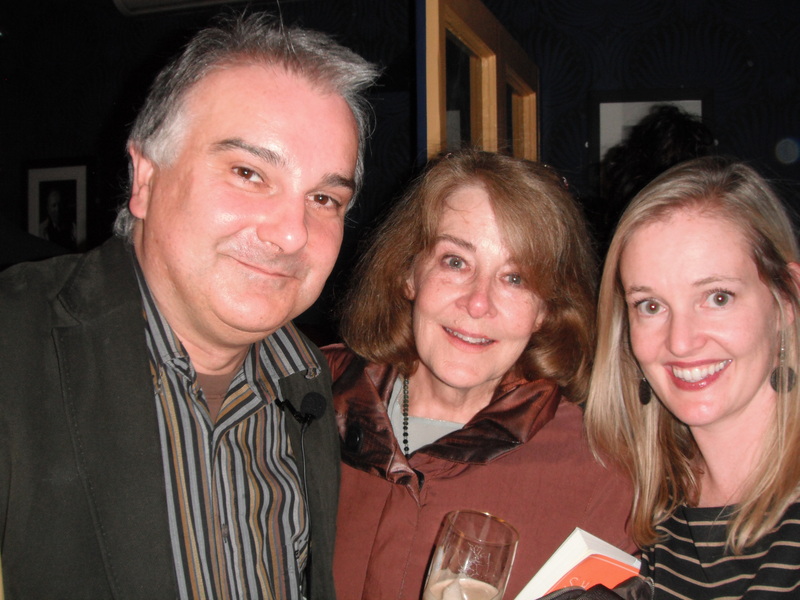 It was a cross section of the writing world the likes I have never seen, with writers just starting out and getting their short stories placed in literary magazines, up to the forty-year career of such masters of Edna O’Brien, with over twenty books under her glamorous belt. And because of the small size, everyone gladly shared information, rallied around one another, and tried to attend each other’s readings (this Irish-named-nerd also bought the six short listed collections and tried to read them all in advance, but that’s because I like to be a smarty pants). Remarkably, there was the feeling that we are all in this together– from the debut writers to those whose stories are always in The New Yorker. I won’t reveal their personal ups and downs (Edna O’Brien told me she is working on a memoir, so be on the lookout for that! ), but everyone seemed to have them. Which is both frightening and comforting. Writing doesn’t get any easier after the first book or after the twentieth. Nothing will ever change the hard truth that each book starts out as nothing but a writer and a blank page. 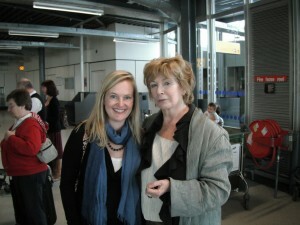 Edna O’Brien was the festival favorite; anytime I asked one of the short listees who they thought would win, they all said Edna. And she did win, deservedly so. Edna is force of nature. Eighty-one and magnificent, in sequins and crushed velvet gowns reminiscent of Victorian England, tall and straight backed, flame haired, perfectly made-up, with a melodic voice that has the best of both Ireland (where she was born) and England (where she has lived since her twenties). I had the good fortune of catching a flight to Heathrow with her at the finish of the festival and I have never been so honored to heft someone’s carry-on bag. For a crazy moment in which I forgot my child and husband patiently waiting for me in Jordan, I imagined moving to London and becoming Edna’s personal assistant. She has that kind of magnetic charm. As a lengthy aside to those of you still reading, I recommend that you all run out and buy the books by the six short listees: Edna O’Brien, Saints and Sinners. Colm Toibin, The Empty Family. Suzanne Rivecca, Death Is Not an Option. Alexander MacLeod, Light Lifting. Yiyun Li, Gold Boy, Emerald Girl. Valerie Trueblood, Marry or Burn. All very different, all amazing. Valerie Trueblood’s collection especially resonated with me. The title grabbed me, the fiction inside sizzled along my brain and I swear it rewired me a little bit—I feel like I will now write differently (and better) thanks to reading her stories. They are winding, elusive tales that start in one place and end up somewhere completely different. Which is an incredible freedom, for writer and reader, to move through a story in such a way, following a daisy chain of events, seven degrees of separation between the characters, all of it so alive with possibility. 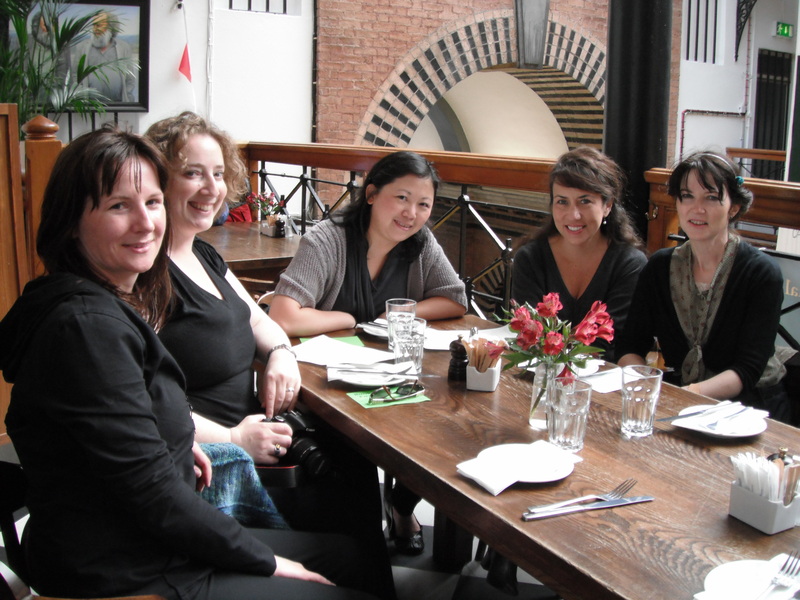 I also recommend the work of writers Ethel Rohan, Orfhlaith Foyle, Alison MacLeod, Michael Christie. Except for Ethel, who is Irish but living in San Fran, they are Irish, British, and Canadian, so we don’t hear as much about them in the US as we should, though we might be hearing about them very soon. 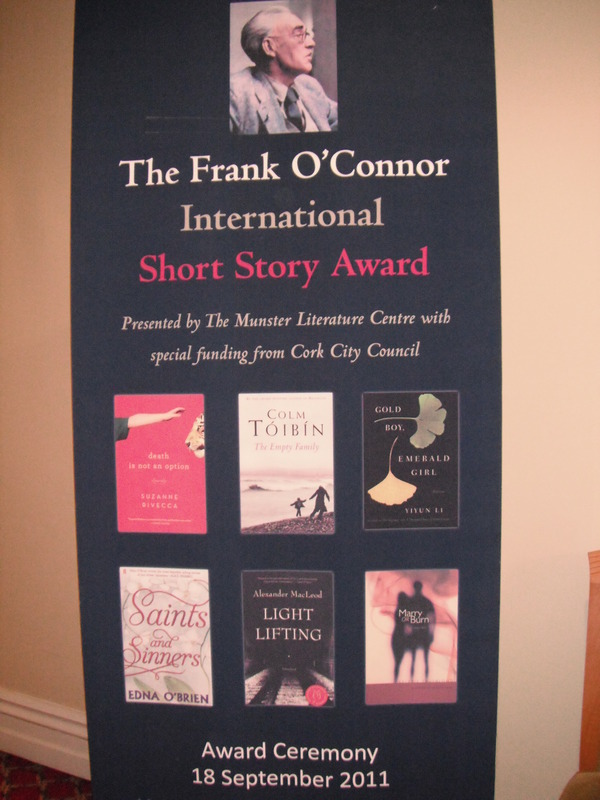 Thanks again to everyone at the Munster Literature Centre, especially Pat Cotter and Jennifer Matthews, for the perfect literary extravaganza kind of week.